Mini is a flat mill grinder (diam. 64), whose main distinctive technical feature is the continuous micrometric grinding calibration. 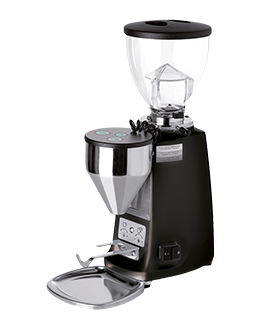 This model, fitted with an operating push-button panel, allows grinding coffee instantaneously through the electronic dose selection device, which can be adjusted as desired for both single and double doses. An additional useful feature is the counter for ground doses, available on the display. Mini is perfect for those locations where work volumes are quite contained and focus is on the quality of each coffee dispensed.